When it comes to donuts, can we at least agree on one thing? 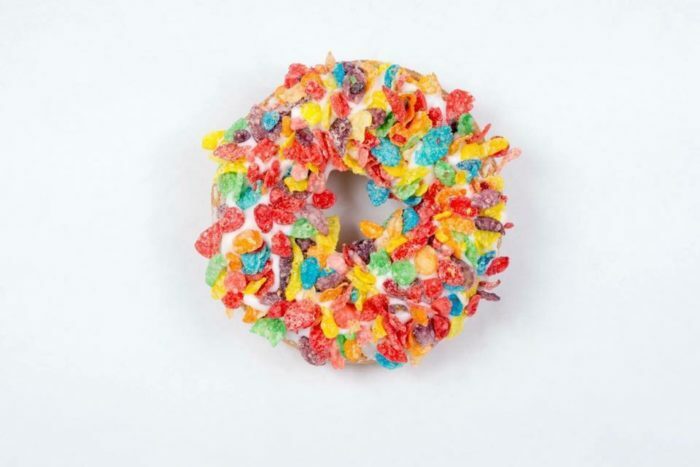 Donuts are an anytime meal: breakfast, lunch, snack, dinner, dessert, and all meals in between. 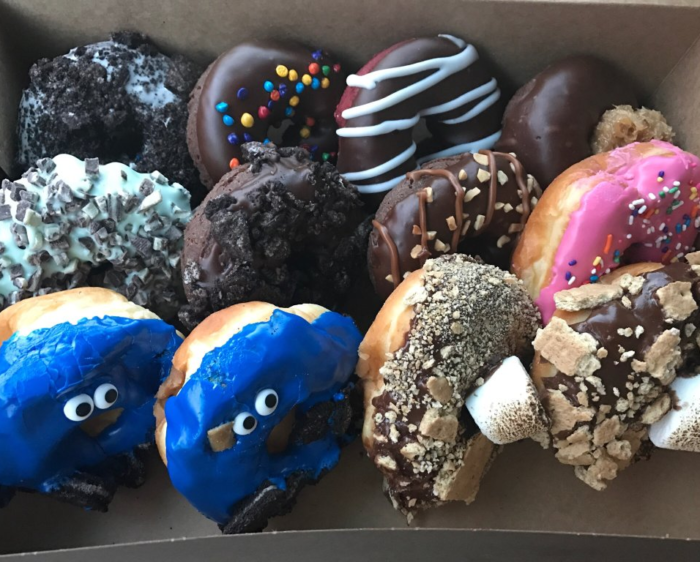 That said, we have some pretty awesome donut shops around the state that offer some delectable treats but there is one place that definitely seems to stand out for its playful interpretation of the ordinary donut. 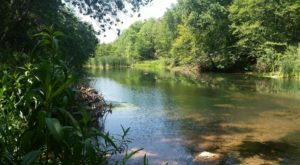 Let’s take a look! 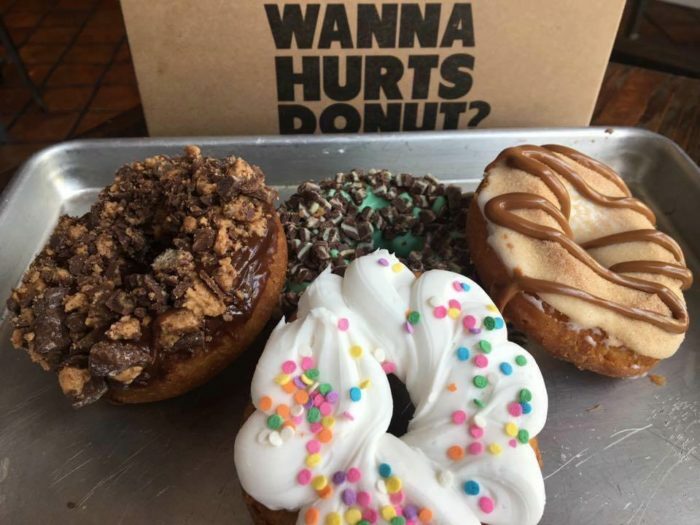 That location is Hurts Donut Company, located in Tempe on the southwest corner of University Drive and Price Road. 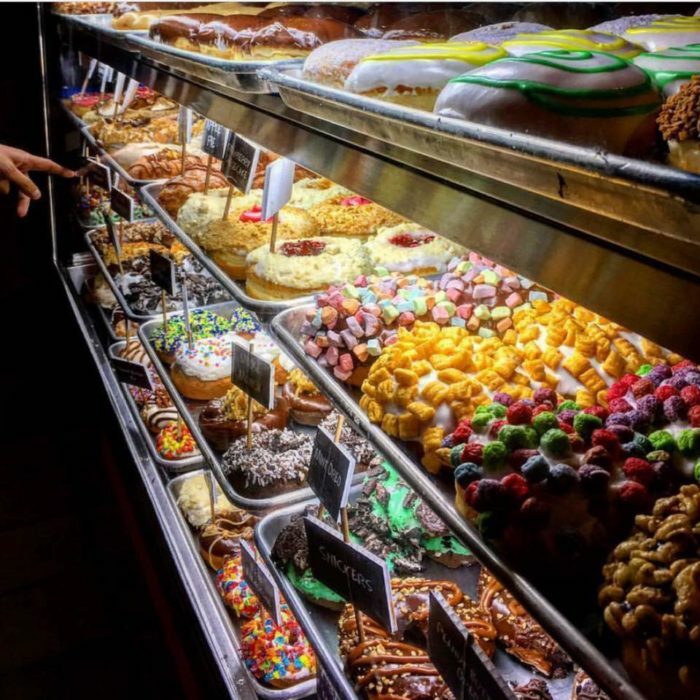 The bakery is known for offering dozens of different donut flavors that are creative, whimsical, and just plain weird. 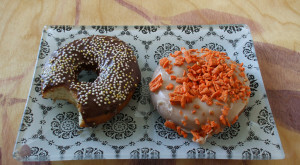 The bakery offers some classic donuts (like an old-fashioned) and the flavors begin to build from there. One example? 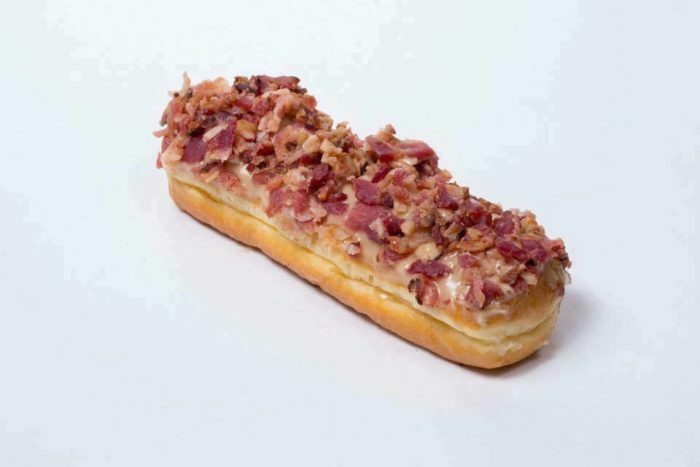 The bacon maple glazed donut that has become all the rage among foodies. 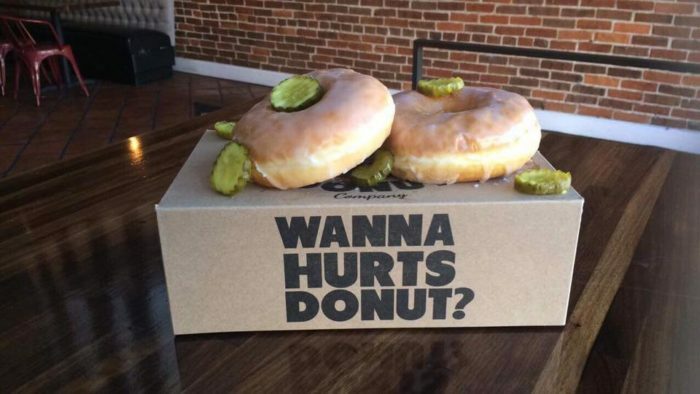 ...or this pretty weird combination: a pickle glazed donut. 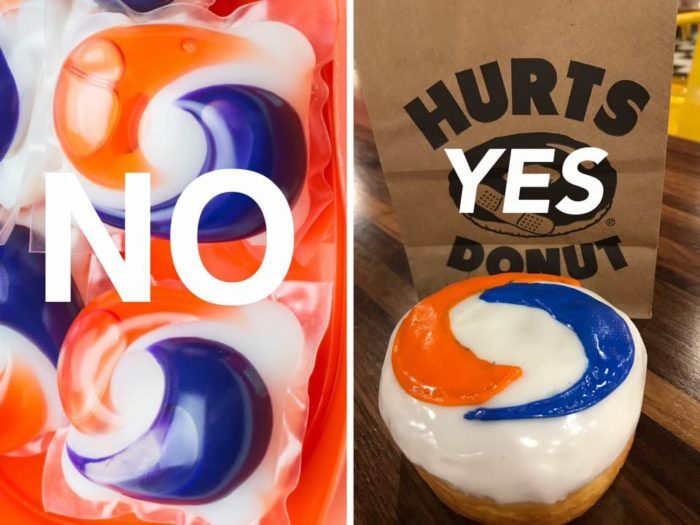 You can even try a donut inspired by pop culture, like these Tide pods donuts. Eat the donut, not the detergent, children. 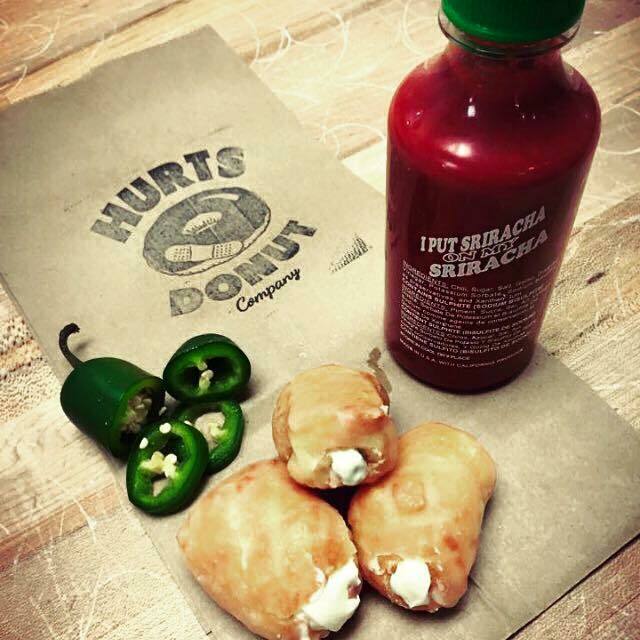 The donut shop regularly offers specials, like these super spicy donut holes. 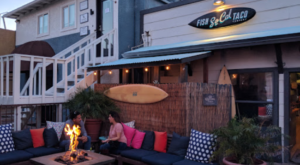 They also have gluten-free options. Actually, the shop calls these "gluten-freeish" since there is still some degree of flour present in the shop when these are made. 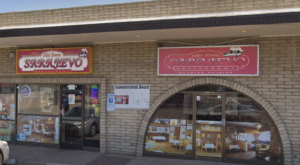 Unable to make it all the way to the donut shop? 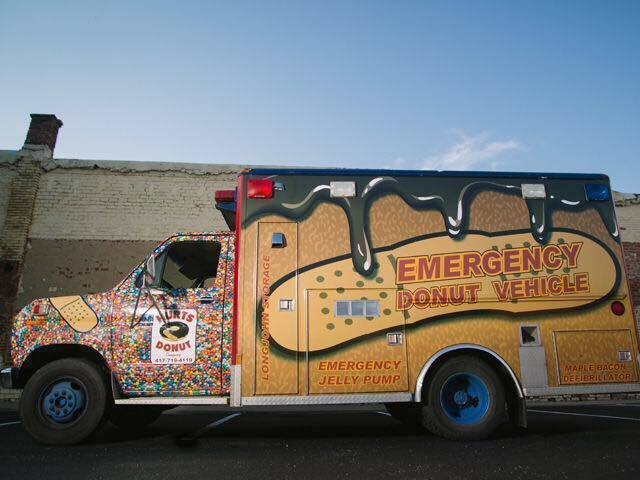 They occasionally send out their Emergency Donut Vehicle to different towns so that you don't have to drive far for a bite of these delicious treats! Are you ready to take one of these bad boys home? 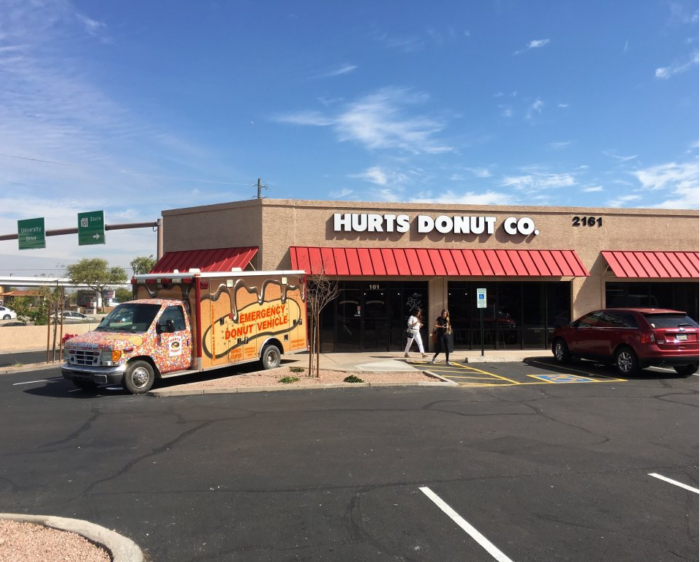 Hurts Donut Company is located at 2161 East University Drive in Tempe. 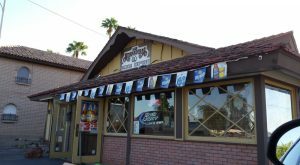 The donut shop is open 24/7 and you can call in an order at (480) 765-2101. 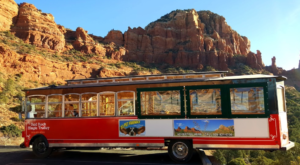 You can find details about their specials, food truck locations, and more by visiting their Facebook page. 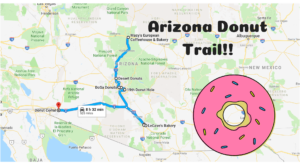 Looking for more donut shops around the state? 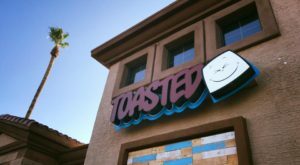 Read These 8 Donut Shops In Arizona Will Have Your Mouth Watering Uncontrollably for some tasty suggestions.